In 1991, Karen Hubbard began forming Bless the Children to assist orphaned and impoverished children in Romania. Through the years the organization has touched the lives of countless children by improving conditions in areas of Eastern Europe, Russia, the former republics of the Soviet Union, China, Vietnam, the Phillipines, the United States, Central and South America, and the Caribbean Islands. Following the Romanian revolution in December 1989 whereby Nicolae Ceausescu and his wife were ultimately executed for mass murder and other crimes, international television news reports showed the extreme deprivation and abuse of orphaned Romanian children. Tens of thousands of abandoned, homeless children were left unattended, living on the streets, and in cold, dreary state-run institutions - warehouses of neglect. Their faces on the news reports showed extreme despair and hopelessness. 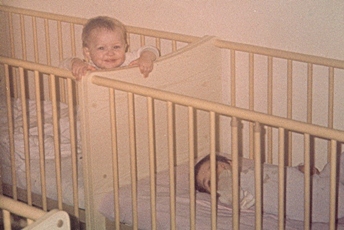 In March 1991, Karen Hubbard flew to Romania with the hope of helping at least one child through adoption and after six weeks returned home with two small children she adopted from Suceava, a town near the Ukrainian border. 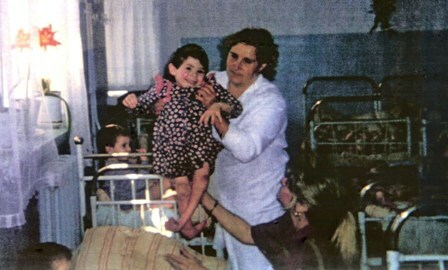 While in Romania, Karen drove from village to village, visiting orphanages, clinics and hospitals. At hospitals she witnessed hundreds of mothers standing in long lines for hours holding sick and suffering children. The doctors had nothing to offer them. In orphanages she witnessed many children to a bed; filthy, cold and hungry and receiving little attention from the limited orphanage staffs. The severe depth of poverty and desperation of those small, helpless children was heartbreaking and changed her life, forever. After witnessing the intense tragedy and horror created by the fallen Romanian dictator Nicolae Ceaucescu, Karen returned to the United States and began helping her adopted children, Ayla and Alex, adjust to their new home in Virginia. Karen could not forget the tens of thousands of desperate children she had left behind. She resigned her position as the president of a national advertising agency and began collecting supplies for the children of the orphanages and traveling to Romania and surrounding countries to distribute them. What began as suitcases filled with medical supplies, medicines, toys, clothing and other much-needed items, grew to 40-foot sea container loads of medical and educational equipment and supplies in a very short time. As others continued to hear of Karen's efforts to help Romanian orphans, thousands of pounds of supplies were donated. Corporations, hospitals, medical supply companies, nursing homes, church groups and civic organizations donated their time and continued to donate an increasing amount of equipment and supplies. In 1993 Karen Hubbard founded the organization Bless the Children, Inc., in order to facilitate this large effort to help orphaned, abandoned and impoverished children internationally. Bless the Children expanded its help to other countries in Eastern Europe, Russia and the former Republics of the Soviet Union. (Approximately 50 forty-foot tractor trailer loads of aid were shipped within the first 3 years.) Supplies were donated to missionaries traveling to India and Africa. Food and clothing were distributed to Indian Reservations in the US, to the poor in Central Virginia, North Carolina and the Appalachian Mountain Regions. As the external program that facilitated shipping to Eastern Europe by providing funded transport was interrupted for revision Karen continued her research and partnering efforts. 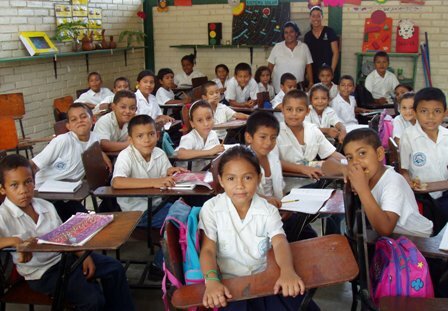 These efforts ultimately led to programs large in scope to benefit the orphaned, abandoned and impoverished children of Central and South America and the Caribbean Islands. Throughout its ensuing years of operation Bless the Children has successfully partnered and networked with countless other organizations to help improve the health, well-being and education of children and families throughout the Caribbean Islands, Central and South America. Bless the Children has donated ambulances and hundreds of 40-foot sea containers of humanitarian aid valued in the millions of dollars. At the core of these joint ventures is the intention to provide communities with the tools and support they need to become self-sufficient. Our prime goal is the building of a better world through the love, care and education of orphaned, abandoned and impoverished children. 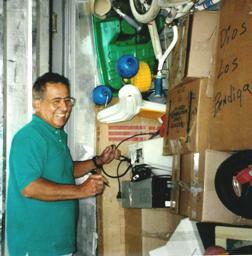 In 1994 Karen met George Mealer, a native of Honduras and retired US military, living in Richmond, Virginia. Together they began collecting and shipping medical and school equipment and supplies while developing programs in El Progreso, Honduras, Central America. 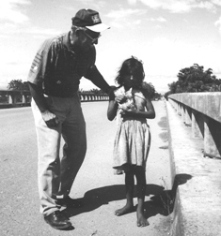 In October 1998, George and his wife Elizabeth moved to El Progreso (a town near San Pedro Sula) to further develop humanitarian programs to help the impoverished people of Honduras. Four days later Hurricane Mitch destroyed the country and the Mealers began full-scale disaster relief. In the States Karen, aided by volunteers, collected, boxed and inventoried thousands of pounds of relief items to help the afflicted. 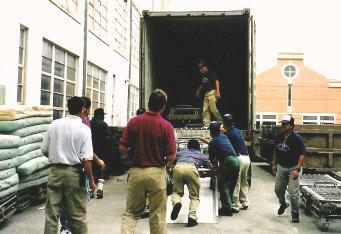 By January 15, sixteen forty-foot containers of aid had been shipped to Honduras. Bless the Children continues to work hard to help rebuild areas that were severely damaged by Hurricane Mitch. Our programs in Honduras are headquartered in El Progreso and are directed by George and Elizabeth Mealer. These programs are a tribute to what a group of dedicated people can do to make a lasting difference in the lives of poor children and their communities. Bless the Children staff and volunteers in the US support over 20 ongoing programs in Honduras through financial and material aid. 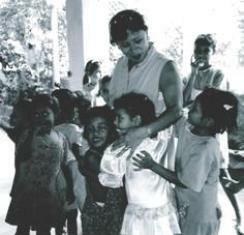 Rebecca Smith, a long-time board member of Bless the Children, traveled to El Progreso with a mission team in July 2001. Witnessing the extreme poverty first-hand of a people with such a rich history was a life-changing experience for her. In October she returned to Honduras where she lived for two months working with George Mealer and Bless the Children volunteers. In December 2002 Rebecca joined Bless the Children in Virginia as Vice President. Her experience working with other non-profits, including the Admiral Jeremiah Denton Foundation in Alabama, a Bless the Children partner organization, gave her a knowledgeable background in international non-profit work and networking. Rebecca's experience also includes international field work helping the poor better their lives. Rebecca works with Karen Hubbard as a close-knit team to successfully manage ongoing programs and to help establish programs to uplift the poor. Bless the Children continues to expand its outreach to poor, vulnerable children by fostering new partnerships and developing new programs. On a daily basis children around the world benefit from the efforts of Bless the Children and our supporters. We work hard to help build a world where poor children have gained the ability to create a better life for themselves and are actively working towards a future of independency, self-reliance and prosperity in the developing world. Hundreds of thousands of abandoned and impoverished children have been helped through Bless the Children’s work, accomplished through partnerships and supported by donors just like you. Join us today to help create a better life for these children, thereby creating a better future for all. We are here to serve as a vehicle to enable you to reach out and bless the children, to help you heal the world by putting your love into action. Bless the Children is a 501 (c)( 3) nonprofit corporation registered with the States of Virginia and Florida, it is approved by the Virginia and Florida Departments of Consumer Affairs, the United States Agency for International Development (USAID) and the National/International Combined Federal Campaign (CFC/Unaffiliated agencies #10016). Over 98% of donations to Bless the Children are received by beneficiaries. "You have touched innumerable lives in many parts of the world. Your accomplishments are outstanding." M.P. "Keep up the great work - I am so proud to be involved with your organization. You do so much to help so many." K.J. "Bless each of you for all that you do for children everywhere." S.E. “What we have done for ourselves alone, dies with us.